Op woensdag 25 november 2015 vindt in het Teylers Museum te Haarlem de achtste Huygens-Descarteslezing plaats. Prof. dr. Renate Dürr (Universität Tübingen) zal spreken over ‘Mapping the miracle: empirical approaches in the Exodus debate of the 18th century’. The Huygens-Descartes Lecture will discuss the work of the Jesuit Jean-Claude Sicard (1677-1726), provincial leader of the Jesuits in Cairo and missionary of the Copts in Egypt. Commissioned by the French Regency, Sicard travelled Egypt extensively to produce the first reliable maps of both contemporary and ancient Egypt. In the process, he discovered amongst others the ruins of Thebes and the Great Labyrinth, and was the first to describe, measure and sketch many ancient sites. One particular question that occupied Sicard is that of the Old Testament’s Exodus account. Especially after Spinoza’s discussion of the miracle of the Red Sea and Pierre Bayle’s critical reactions, the story of the Israelites’ Crossing became a litmus test for the Old Testament in the eighteenth century, regardless of whether one aimed to confirm or challenge the credibility of biblical texts. 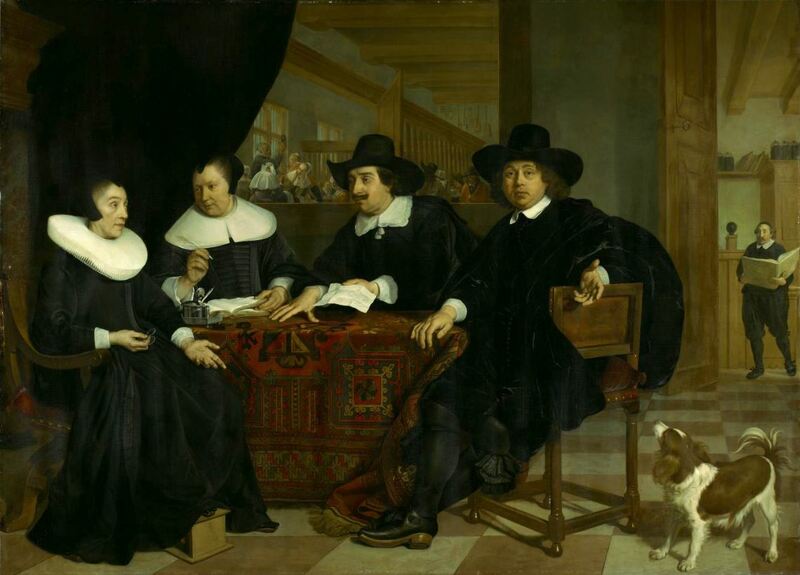 Whereas this debate has been interpreted as mostly a Protestant affair in literature until now, the Huygens-Descartes lecture will focus on the Jesuits’ impact on the debate – an impact that was grounded on their experience in situ and their penchant for empirical verification. By focusing on empiricism in Historical Critical Biblicism, the Huygens-Descartes lecture takes an unconventional path in talking about the Exodus debate within the European Republic of Letters in the 18th century. Since the empirical knowledge that played such a vital role in the debate came from Egypt, Renate Dürr will discuss the ways of gathering and transferring knowledge from abroad to Europe, the importance of the publishing houses in the process of recreating this information and the Jesuits’ impact on the Early Enlightenment. De lezing begint om 15.30 uur in de Gehoorzaal. Na de lezing bent u uitgenodigd voor een receptie. Aan het bijwonen van de lezing zijn geen kosten verbonden; aanmelding is niet nodig. De voertaal is Engels. Meer informatie vindt u hier. Op woensdagavond 14 januari houdt historisch letterkundige prof. dr. Els Stronks een publiekslezing ter afsluiting van haar fellowship bij de KB (Koninklijke Bibliotheek) en het NIAS (Netherlands Institute for Advanced Study). Els Stronks deed als fellow Digital Humanities in de Koninklijke Bibliotheek onderzoek naar denkbeelden over jongeren in Nederlandse teksten (1500-1800). We kennen een aantal opvattingen uit die periode. Maar waren er ook andere? Dit onderzocht ze in gedigitaliseerde tekstbestanden als Delpher, de Liederenbank en de DBNL. De resultaten presenteert zij in haar publiekslezing ‘Jeugdige overmoed. Digitaal duiden van denkbeelden over jongeren’. De lezing is gratis toegankelijk voor iedereen. Voor meer informatie en aanmelden klik hier.